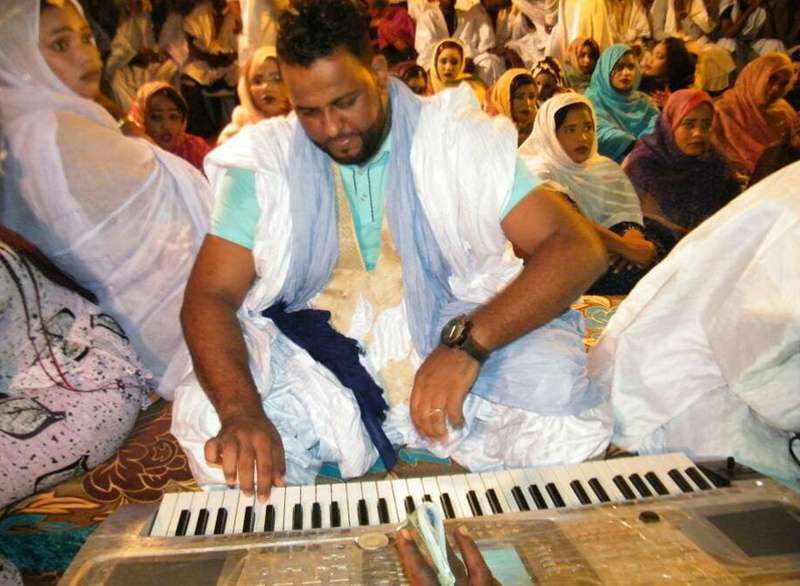 Synth freakout from the Sahara, Mauritanian WZN (literally “instrumental music”) has emerged as pop music, blaring out of taxi cabs and cassette shops throughout the country. Ahmedou Ahmed Lowla is one of the country's biggest stars. Performing in lavish weddings of Nouakchott with a troupe of percussionists, Ahmed's signature style is dynamic and ambitious, shredding over the keys with flourishes (like playing with his elbows and head!). Hypnotic and tranced out, Ahmedou Ahmed Lowla transports Mauritanian classical music into technological futures, like a drug-free baroque rave under the open air of the Sahara.